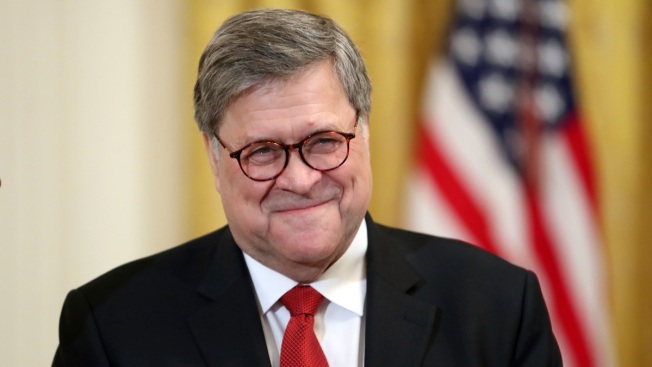 Attorney General William Barr smiles as he waits for President Donald Trump to speak at the 2019 Prison Reform Summit and First Step Act Celebration in the East Room of the White House in Washington, Monday, April 1, 2019. Attorney General William Barr is defending his handling of special counsel Robert Mueller's report on the Russia investigation, saying the confidential document contains sensitive grand jury material that prevented it from being immediately released to the public. 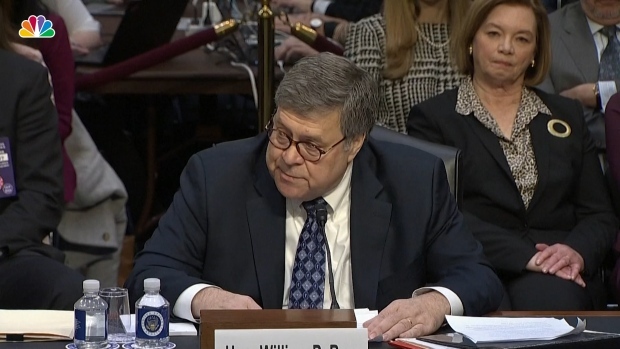 The statement Thursday came as Barr confronts concerns that his four-page letter summarizing Mueller's conclusions unduly sanitized the full report in President Donald Trump's favor, including on the key question of whether the president obstructed justice. House Democrats on Wednesday approved subpoenas for Mueller's entire report and any exhibits and other underlying evidence that the Justice Department might withhold. The disparity in length between Barr's letter and Mueller's full report, which totals nearly 400 pages, raises the likelihood of additional significant information that was put forward by the special counsel's office but not immediately shared by the attorney general. 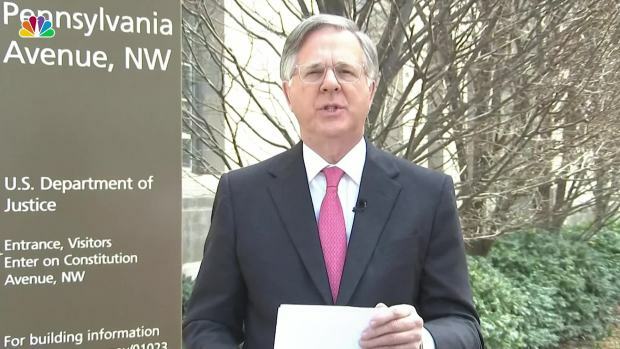 In Thursday's statement, Barr defended the decision to release a brief summary letter two days after receiving the report on March 22. He has previously said he did not believe it would be in the public's interest to release the full document in piecemeal or gradual fashion, and that he did not intend for his letter summarizing Mueller's "principal conclusions" to be an "exhaustive recounting" of the special counsel's investigation. "Given the extraordinary public interest in the matter, the Attorney General decided to release the report's bottom-line findings and his conclusions immediately — without attempting to summarize the report — with the understanding that the report itself would be released after the redaction process," the Justice Department statement said. The statement also said that every page of Mueller's report was marked that it may contain grand jury material "and therefore could not immediately be released." A Justice Department official, speaking Thursday on condition of anonymity to discuss a confidential process, said summaries of the findings that Mueller's team included as part of its report also contained grand jury information, making it hard for a swift release. Barr has said that while Mueller did not establish a criminal conspiracy between Russia and the Trump campaign, the special counsel left open a decision on whether the president had tried to obstruct the Russia investigation. The Mueller team laid out evidence on both sides of the question in a way that neither established a crime nor exonerated Trump, according to Barr's letter. Barr has said that he and Deputy Attorney General Rod Rosenstein determined that Mueller's evidence was insufficient to support an obstruction allegation. Barr said he was continuing to work with Mueller's office on redactions to the report so that it could be released to Congress and the public.